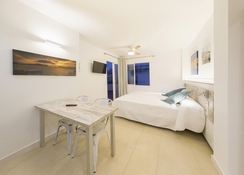 This self-catering accommodation is a great choice for families, groups of friends and couples to have a relaxing base from which you can explore the rest of Ibiza. Located in San Antonio Bay, the Playa Bella Apartments also has two restaurants on-site as well as a bar and you will also find modern kitchens in the apartments that provide everything to make your own meals during your stay. 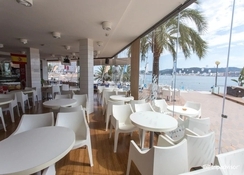 The property is nearby to the beach and is also in a good position from which you can get to many tourist spots such as Café del Mar and the West End. The Playa Bella Apartments has everything for groups, couples and families to enjoy their stay on the party island. The Playa Bella Apartments are located in San Antonio Bay in Ibiza. It has a beachfront location and is just a short distance away from Café del Mar (0.8 miles), Ocean Beach (1.1 miles) and the lively West End (1.1 miles). You can reach the super clubs such as Amnesia and Ushuaia by the San Antonio Bus Station which is 1.3 miles away and the Ibiza Airport is 7.8 miles from the property. There are four apartment types on offer at this location. Studio Apartments can host two adults or two adults and one child, One-Bedroom Apartments have capacity for three adults or three adults and one child, Two Bedroom Apartments can host four adults and two children while the Three-Bedroom Apartments have room for up to eight guests. All the apartments have a modern kitchen equipped with everything you need to prepare meals as well as air conditioning, satellite TV and a balcony or terrace. The apartments have their own kitchen with modern facilities such as an oven, microwave, tea and coffee making facilities and a fridge so you can prepare your own meals. 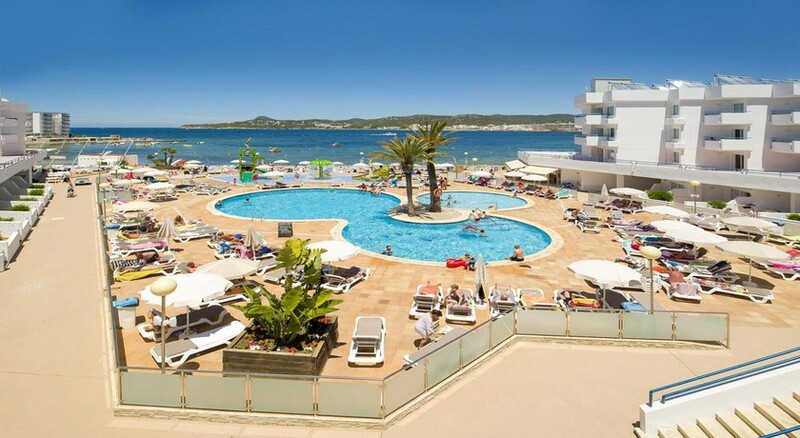 There are also two restaurants by the pool at the complex if you don’t fancy cooking yourself or you can explore the local area where there is an abundance of restaurants, bars and cafes particularly in the West End and along the beachfront. The Playa Bella Apartments have a swimming pool as well as a separate children’s section. There is an entertainment programme that is designed for both adults and children or the kids can go to the mini-club which operates on a seasonal basis. The beach is just a stone’s throw away and has a range of water sports such as scuba diving while there is plenty of nightlife to experience on this party island if you head to the main strip in the West End or the super Clubs which can be reach via the San Antonio Bus Station which is only 1.3 miles away.